The 2018 midterm elections results are important—in shaping not just the future of Donald Trump’s presidency, but also the American political landscape for years to come. Few people are as intimately aware of the impact of an election as our featured speakers at the 2018 BRG Healthcare Leadership Conference. In the first conference following the crucial 2018 midterm elections, BRG is thrilled to welcome Former Chairwoman of the Democratic National Committee Donna Brazile and Former Chief of Staff and Chairman to the Republican National Committee Reince Priebus, who will candidly examine the real impact the Trump presidency had on the midterm results, and what this may mean for the political future of America. Veteran Democratic political strategist Donna Brazile is the former chair of the Democratic National Committee (DNC). For over forty years, Ms. Brazile, also former vice-chair of Civic Engagement and Voter Participation, has been an active member of the Democratic Party. She first got involved in politics at the age of nine, when she worked to elect a City Council candidate who had promised to build a playground in her neighborhood; the candidate won, a swing set was installed, and a lifelong passion for political progress was ignited. Ms. Brazile worked on every presidential campaign from 1976 through 2000, when she became the first African-American to manage a presidential campaign. 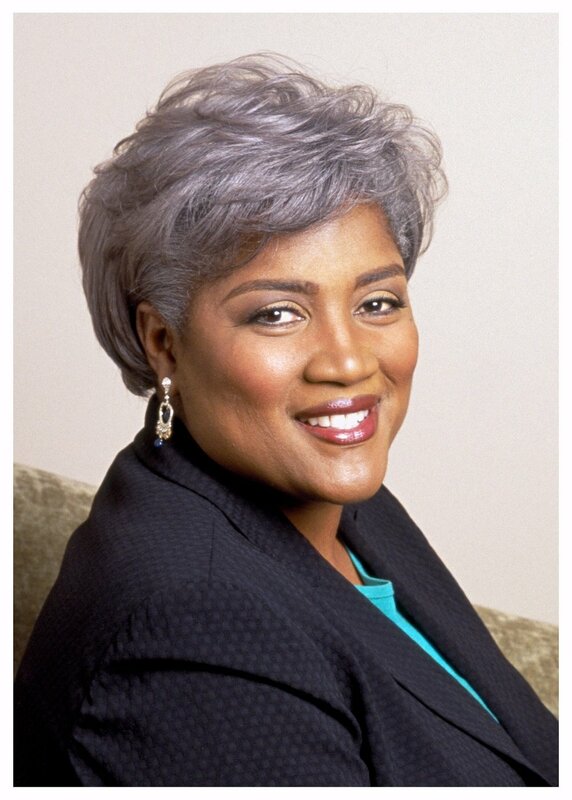 In addition to her work as an adjunct professor at Georgetown University, Ms. Brazile is the author of the best-selling memoir Cooking with Grease: Stirring the Pots in American Politics and is on leave with ABC News. In 2014, Ms. Brazile was appointed by Barack Obama to serve on to the board of the J. William Fulbright Foreign Scholarship Board. In addition, she serves on the boards of the National Democratic Institute, National Institute for Civil Discourse, and BlackAmericaWeb.com Relief Fund, Inc., and as co-chair for Democrats for Public Education. Recently, she was appointed by New Orleans Mayor Mitch Landrieu to serve on the city’s Tricentennial Commission. In August 2009, O, The Oprah Magazine chose Ms. Brazile as one of its twenty “remarkable visionaries” for the magazine’s first-ever O Power List. In addition, she was named among the 100 Most Powerful Women by Washingtonian magazine and Top 50 Women in America by Essence magazine, and she received the Congressional Black Caucus Foundation’s highest award for political achievement. Ms. Brazile is founder and managing director of Brazile & Associates LLC, a general consulting, grassroots advocacy, and training firm based in Washington, DC. Before serving as President Trump’s chief of staff in 2016, Reince Priebus was the longest-serving chairman of the Republican National Committee (RNC) in modern history. He oversaw a dramatic turnaround of the RNC, rescuing its finances, repairing its operations, and rebuilding its ground game. By welcoming new voters and harnessing the power of new technologies, Mr. Priebus built the infrastructure needed for landslide GOP victories. He left the RNC as one of the winningest chairmen of either political party in American history. A successful chairman of the Republican Party of Wisconsin, Mr. Priebus created the framework for one of the most historic election cycles Wisconsin has ever experienced. During his tenure, the state’s Republicans elected Ron Johnson to the Senate, gained two additional US House seats, won the governor’s office, and took back both the state Assembly and Senate, defeating the leaders of both those chambers. Mr. Priebus has a long history in Republican politics as a grassroots volunteer. He worked his way up through the ranks of the Republican Party of Wisconsin as first congressional district chairman, state party treasurer, first vice chair, and eventually state party chairman. In 2009, he served as general counsel to the RNC, volunteering his time to help manage the party’s most difficult challenges.